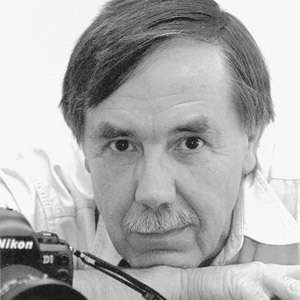 Phil Greer is the school’s Photojournalist in Residence and Senior Lecturer. Born in Chicago but with strong Southern Illinois roots, he is a graduate of Eldorado High School. Greer served in the United States Air Force during the Vietnam War. His first job in photojournalism was at the Champaign/Urbana News Gazette and from there he went to the Dayton Daily News in Dayton, Ohio. One year later he returned to Champaign/Urbana to work for The Courier, and remained there for twelve years. During that period he served as Treasurer and Vice President of the Illinois Press Photographers Association. After the Courier closed, Greer moved to the Chicago Tribune where he worked for twenty four years. He was a staff photographer, Chief Photographer, Director of Photography and Senior Photographer. As Director of Photography he installed the Tribune’s first electronic darkroom, which was the world’s largest at that time. He was responsible for all of the newspaper’s visual content and supervised a staff of fifty photographers, picture editors and photo technicians. He left the Tribune to come to Southern Illinois University through the urging of Mike Lawrence and Paul Simon of the Public Policy Institute. Greer has won over 200 awards for his work, from the Illinois Press Photographers Association and National Press Photographers Association. He was nominated several times for the Pulitzer Prize in Journalism, and was a member of the Tribune team that won the prize for ‘Gateway to Gridlock’ in 2001. He was honored by the IPPA with the George Day Award for service to the profession. Greer’s wide ranging career has included covering wars such as the Iran/Iraq war, the Nicaraguan war, Salvador and the invasion of Panama. He has traveled widely, covering stories both foreign and domestic, from the Mexico City earthquake, refugee camps throughout Central America, to Illinois politics at Springfield. He has been a lecturer at Northwestern University and the University of Illinois. He is the present Region Five Chair of NPPA.